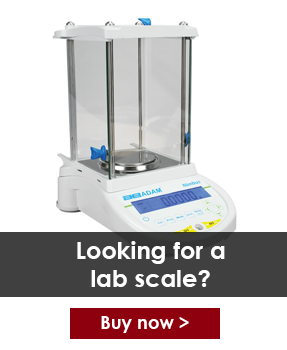 Scaletec offers high-quality service and support for all your weighing equipment. We provide support on a full range of brands. When you need peace of mind that if something should go wrong with your scale or balance, a service contract is the best solution. With a Scaletec Service contract we can offer the additional support that you need. We will draft a contract that meets your specific requirements and can include preventative maintenance, calibration, replacement unit for when you are down, as well as fast on-site service to fix and repair. Our sales reps will work with you to develop a plan and program that meets all your concerns, and offers reassurances should a problem occur. Contact us today to see how we can better help you with a service contact. Calibration service can be set up for regular times or as and when you need it. We offer competitive rates and service levels fit to meet all your needs. Below you will find a list of the brands that we can perform calibration on; if your product is not in that list then please contact us as we may still be able to assist. Scaletec calibration service consists of calibrating your equipment to known standards and we provide a certificate that states the calibration. if calibration fails we can normally repair it right there and then, or we will be more than happy to quote for a repair service. No matter where you purchase your product from you can request training and installation service from Scaletec. Before we install your equipment we will discuss with you the best location and what your goals are for using the equipment. Then we will setup the device and enable the features that you are going to use the most. During our training sessions our trainers will work with you to schedule training for you and your team and will make sure that they cover all of the important aspects so that the users of the equipment can be as productive as possible. The training session is just the start of the support system that we provide for you. Once you have taken part in the training session we offer phone support to answer those questions that crop up as you start to use your weighing equipment. If you need to repair your equipment, we provide quick turnaround service on all repairs. We can repair and service a number of brands of equipment including Adam Equipment, Avery and Mettler to name just a few. From simple fixes to complex mechanical issues, are technicians are trained by the manufacturer to be able to perform the tasks needed. At Scaletec we know that sometimes you cannot be without your balance or scale, that is why we offer our customers a loaner program so that during a repair we can provide you with a product that will allow your operation to carry on. This service means that there is no down time and can potentially save you from costly loss of business. For more information on this program call your local office and we will be more than happy to give you details on how we can help you.